home Uncategorized Ferdinand Alexander Porsche drives on. Tx for the 911! Ferdinand Alexander Porsche drives on. Tx for the 911! We all have to go, sooner or later. Ferdinand Alexander Porsche floored the pedal to the metal, and roared on to the eternal driving track at age 76. 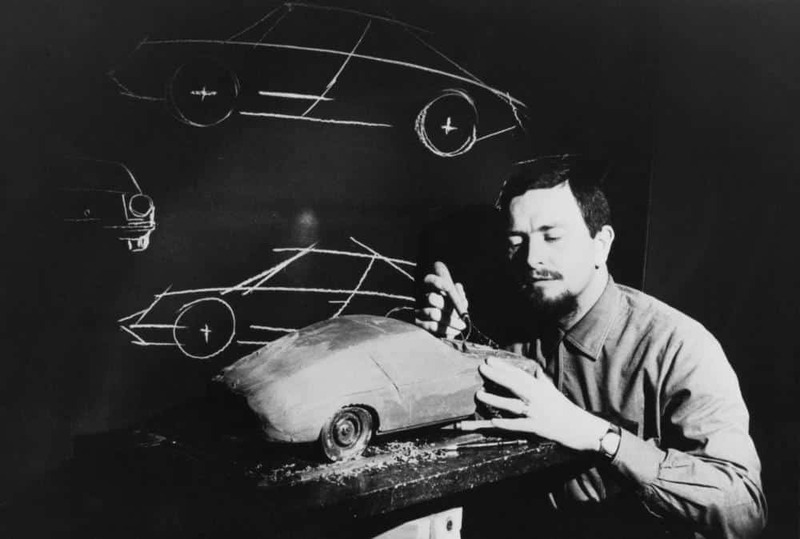 The grandson of Porsche’s founder was head of the legendary Porsche design studio from the early sixties on. His grandfather and father laid the foundations of the iconic sports car brand, but when the Porsche 550 (remember James Dean) started to age, a new line was needed. Ferdinand Alexander’s answer was the stunning 911 that was presented in 1964. An air-cooled flat V6 with more power than a horny bull on steroids, a fantastic line, and heroic performance. The model hardly changed over the last 50 years, and is now in its seventh edition. I have a 1983 911 SC convertible, by far my favorite car of all times. You drive a 911 by the seat of your pants. It’s fast, loud, with a touchy mind of its own that reminds you in every corner who’s the boss. Not for the faint of hearted, it requires dedication, guts, skill and love of pure sensations. It turns heads, generates envying looks. I met Ferdinand Alexander once, when I was a journalist, 20 years ago. His dedication to pure lines, his adagio that if you create something solely in the search for optimized functionality you will automatically achieve head turning design appealed to me. I fell in love with the car when I was a kid; I admired the creator for his Spartan discipline and his unbelievable kindness and humbleness. A car that is timeless, created by a man that just joined the immortals. Let’s rev up those engines, let’s heat some rubber. So long Butzi, thanks for the 911! Let’s see how your bus behaves in the corner :-). You can’t beat my Jaguar Super V8: 0 – 100kmh, 5 seconds. Hm. Super Carerra cabrio: 0-100 km/h (62 mph) in 4.7 s.
Happy Easter Man! Kiss to S-J! Hope to see you guys soonest!